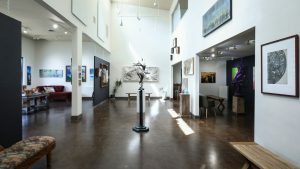 Since 2004, the gallery has been an award winning fine contemporary art gallery featuring over 100 artists in all original fine art mediums; Bronze, Ceramic, Glass, Jewelry, Paintings, Photography, Prints, and Wearable. Over 44 Nevada County Artists represented. 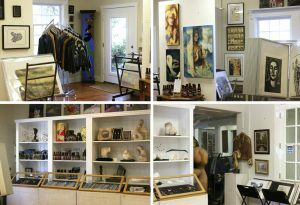 A workshop space that showcases the creativity of its member artists. You'll find sculpture, jewelry, works on paper, fine art prints, antiquities, coins, mobiles, collage/mixed media, miniatures and music. The gallery also features the work of well-known artists such as Picasso, Miro, Dali, Chagall and Matisse. There's always something new and interesting waiting just for you! 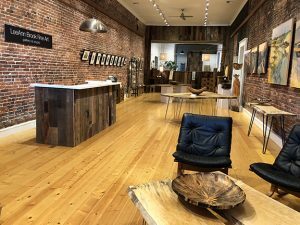 Elixart is a collaboration of creative art works by local artists featuring a traditional tea bar serving and selling rare specialty teas and health tonics; as well as a special event space showcasing educational films and healing arts workshops. 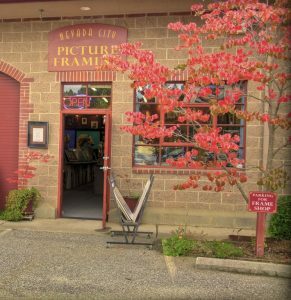 An artist-owned gallery and studio in the heart of historic downtown Nevada City featuring contemporary landscape paintings by LeeAnn Brook, wooden vessels by Mike Snegg and other 3D artists. See work in process while peeking into a working studio. Come see special shows on First Friday Artwalks, Summer Nights, Open Studios Tour, Thanksgiving weekend and during Victorian Christmas. Every piece of wood has an image inside and it is my task as a wood sculptor to discover it. Making bowls from trees is the discovery of that internal shape, which has grown in the wood for years waiting to see light. I find growth rings and activity that tell the story about the life and history of the forest and the tree itself. To make a bowl or a piece of art from the log extends the life of the tree for others to enjoy. Morrison Hotel Gallery is the leader in Fine art music photography. With galleries in New York, Los Angeles and Maui our gallery represents over 130 of the best music photographers and artists. 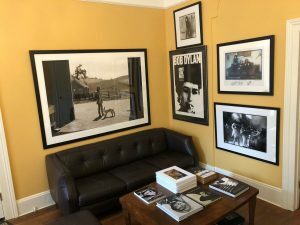 From the jazz photography of Billy Holiday, Miles Davis and the Blue Note collection to The Beatles, Rolling Stones and Bruce Springsteen to the contemporary artists of today, Morrison Hotel Gallery has every print for every taste in music. Large-Scale Contemporary fine art gallery with original paintings, sculptures, design and offers fine art staging. 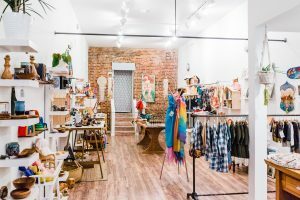 Ellu Gallery is also a cooperative group of artist members that have monthly events on third Thursdays showcasing new art, music, and drinks.